The Barkhamsted Historical Society held its annual meeting at the Squires Tavern. Outgoing president Sharon Lynes gave a report of the Society's accomplishments during the last year to a gathering of about 29 members. The short business meeting included an update on the progress at the Squires Tavern given by Leslie Cosgrove, a discussion on the current quarterly Squires Tavern publication by Walt Landgraf and election of a new slate of officers headed by incoming President Frederic Warner. Walt Landgraf then gave a tour of the Tavern touching on several discoveries and work that has been completed over the last year. 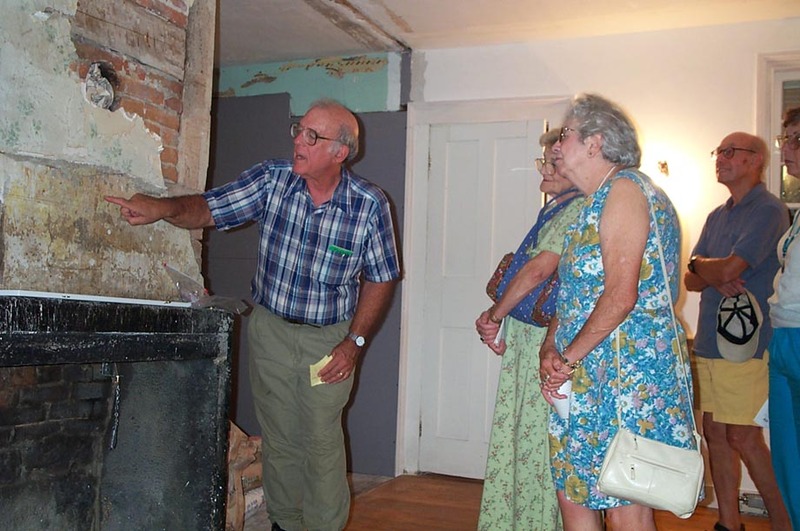 September 10, 2002- Walt Landgraf pointing out 19th century stenciling above the fireplace at the Squires Tavern during his tour of the building following the annual meeting. 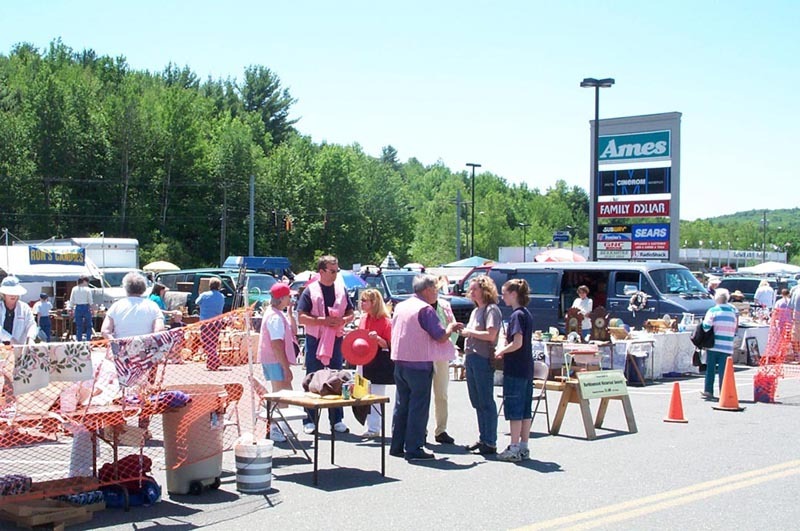 The Historical Society held its main fund raising events: two flea market at the Mallory Brook Plaza in front of the Ames store, Route 44 near the Barkhamsted/Winsted town line. The weather was perfect for both the June and September dates as over 60 dealers and vendors spread out their wares for the large crowds. We are very pleased with the results and wish to thank all those who worked to make these events a success. Photo- Historical Society flea market at Ames Plaza on June 8, 2002.